Back in July 1981, Detroit resident George Talley's 1979 Chevy Corvette was stolen. Thirty-three years later, the C3 was found and one of GM's top executives has offered to help bring it home. 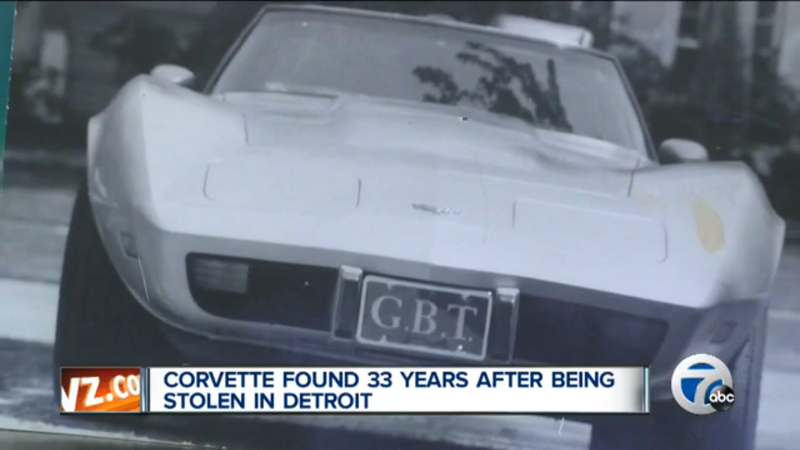 Talley, who still lives in Detroit and is living proof that not everybody in this city decided to flee to the suburbs (but that's neither here nor there), told WXYZ his story about his missing Corvette swiped from Jefferson Avenue years ago. His insurance company contacted him when apparently someone tried to register the Corvette under a sketchy VIN. Investigators tracked the original VIN to Talley and told him the car was located in Mississippi — but he'd have to be the one to recover it. Talley was unsure of whether to drive it back himself — between 1979 and now, only 45,000 miles were put on — or have it shipped back. But Mark Reuss, GM's executive vice president of global product development (and friend of Jalopnik) had heard Talley's story and announced on WJR's Paul W. Smith show that GM would pick up the tab. "That car belongs in Detroit," Reuss told the radio host.